Seyfarth Shaw understands the challenges facing retailers posed by the fast paced and seasonal nature of the sales environment, tight profit margin, and focus on brand and market share. By proactively and strategically addressing labor and employment-related issues, retail companies can successfully advance their business goals while mitigating risks. Seyfarth’s attorneys are skilled litigators and experienced counselors on the labor and employment law issues that matter most to the retail industry. Our wealth of experience in these areas helps us to counsel our retail clients so they can proactively avoid all of these costly issues. However, when our clients are faced with the inevitable legal battle, we are able to bring our significant experience to bear in developing efficient solutions. Seyfarth is perfectly positioned to partner with our retail clients to help them navigate through the current environment with its highly competitive market conditions. Our goal is to help our retail clients proactively and strategically address labor and employment-related challenges, so they can successfully grow their business and mitigate risks. 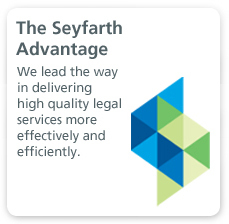 At Seyfarth, we take pride in furthering the expertise of our attorneys beyond the practice of law. We continue to discover ways to advance industry knowledge and business acumen, knowing this will enable our attorneys to serve as true partners and trusted advisers to our clients. In support of these efforts, we created Seyfarth Retail University, a firm training program designed to educate Seyfarth attorneys on retail industry trends and challenges, as well as the fundamental consumer purchasing behaviors and emerging retail technologies that drive the industry. Seyfarth Retail University provides our attorneys with a multifaceted view of the retail world, with module leaders representing academia, industry associations and retailers themselves. 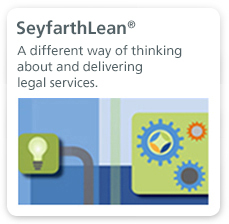 Seyfarth Retail University broadens our ability to provide excellent client service, retail legal advice and business strategies. Seyfarth Retail University demonstrates our ongoing commitment to clients as we continue to deepen client relationships and provide more value to our partnerships. 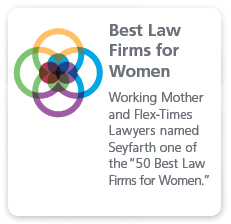 The 2018 edition of Chambers USA: America’s Leading Lawyers for Business ranks 62 Seyfarth Shaw lawyers as leaders in their fields.